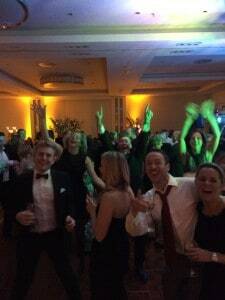 The Beech Lodge Winter Wonderland Ball! 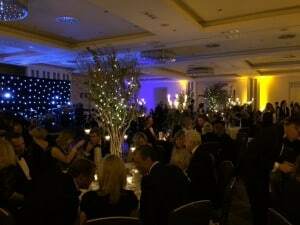 To end that momentous week of Public Inquiry and visit from Theresa May MP, on Saturday 16th January we held our inaugural (that means FIRST) black tie fundraising Ball at the Crown Plaza Hotel in Marlow! 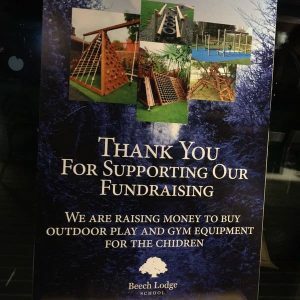 Over 230 people attended and danced the night away including parents and staff and with a fantastic auction and raffle we raised a walloping great £21,000 on the night to go towards outdoor gym and play equipment for our children!! The evening was hosted by TV Personality and Sports Presenter Steve Rider (who is also a parent at the school – father to our very own class teacher Mr Rider) and was organised by our amazing PTA Ball committee of parents – Sue Leach, Rachel Parkinson, Sharon Gerrard, Jason Hickey and Suzie Yeulett. A HUGE thank you to them for putting in such incredibly hard work and making it such a memorable night. Thank you to everyone who attended and donated auction and raffle prizes – we will keep you posted as to how the money is spent.